Old Faithful Lodge in Yellowstone National Park is located opposite the more famous Old Faithful Inn, facing Old Faithful geyser. The Lodge is constructed in the National Park Service Rustic style, and includes dining spaces and a recreation hall, known as Geyser Hall. 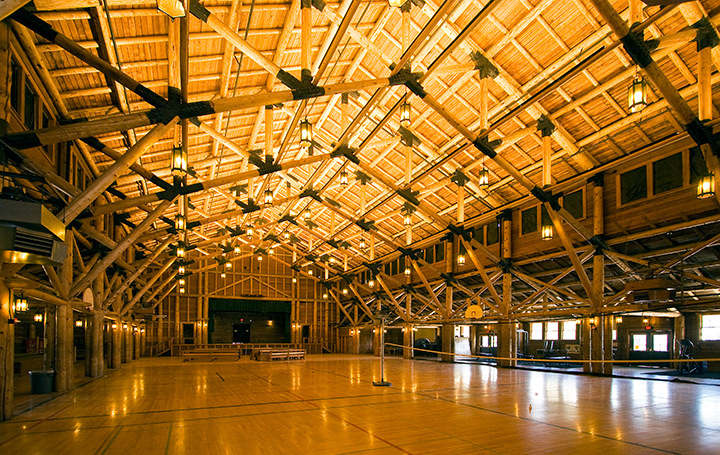 The roof structure of Geyser Hall is reminiscent of Gothic wood construction, with a height of 73 feet to the ridge. The Lodge was designed by Gilbert Stanley Underwood and was built in 1923 with additions in 1927. The Lodge is included in the Old Faithful Historic District. The current Old Faithful Lodge is a result of numerous changes dating back to the early days of tent camps. These camps were erected throughout the park and offered shelter before hotels and lodges were built. By the 1920’s, auto traffic into the park was increasing dramatically and it was determined that the tent camp at the site should be replaced with a permanent lodge. 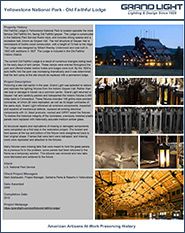 Following a site visit earlier in the year, Grand Light was selected to restore and replicate the lighting fixtures from the historic Geyser Hall. 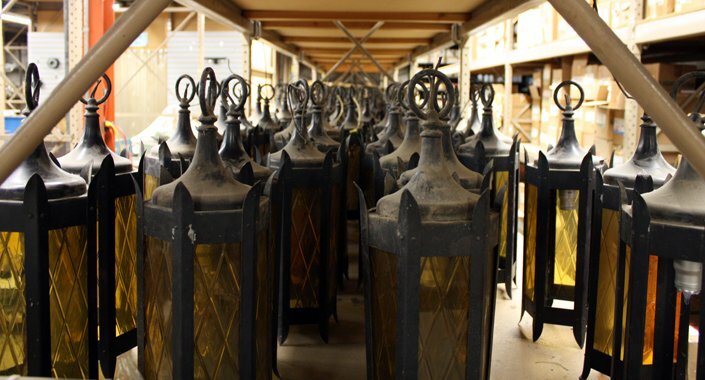 Rather than risk loss or damage in transit via a common carrier, Grand Light dispatched a team to Geyser Hall and carefully packed and transported the historic fixtures 2,400 miles back to Connecticut. 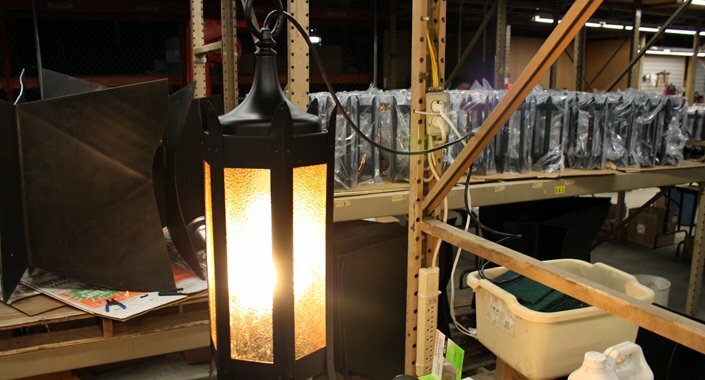 These fixtures included 148 gothic-style pendant luminaires, of which 28 were replicated, as well as 40 larger luminaires of the same style. Grand Light cleaned all luminaire components, inspected and repaired all mechanical defects, replaced all existing electrical components with UL listed products, rewired and HIPOT tested the fixtures. 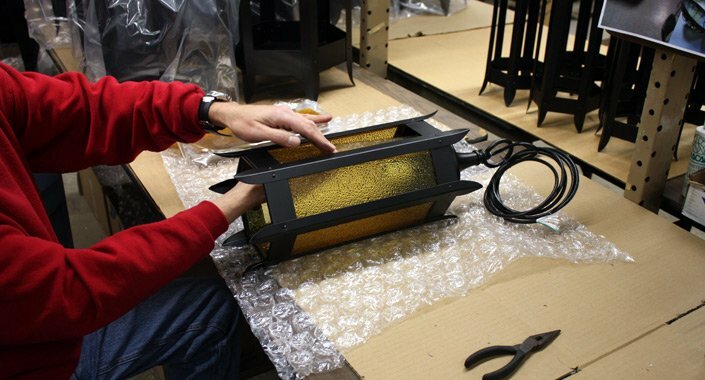 To restore the historical integrity of the luminaires, previously installed plastic panels were replaced with historically accurate medium-amber glass. All structural repairs and replications of missing or damaged components were completed as a first step in the restoration project. 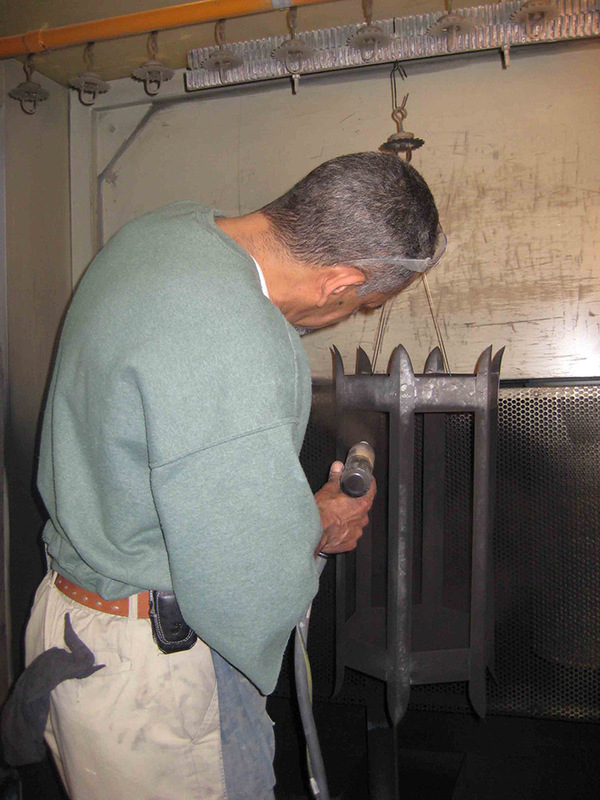 The twisted and bent spears at the top and bottom of the fixture were straightened back to their original shape. 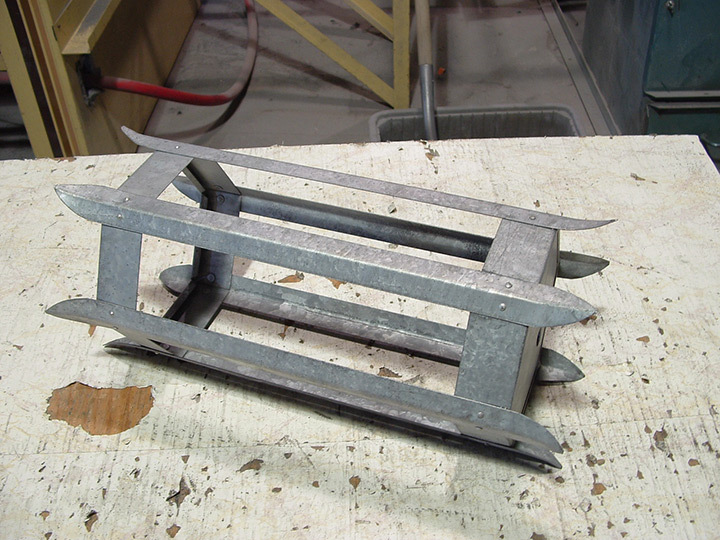 Frames that were bent were reshaped, and missing rivets were replicated and attached to the fixtures. Many fixtures were missing tabs that were meant to hold the glass panels. As a previous fix to this problem, some panels had been siliconed to the frame as a temporary solution. This silicone was removed and new tabs were fabricated and soldered to the fixture. It was determined that a medium amber colored Wissmack type glass with a dew drop pattern would be the most suitable match to replace the many missing or damaged panels from the lodge’s lighting fixtures. To protect the glass from shattering in the event they are ever hit by a ball or other item, each panel was coated in a 3M SCLARL #150 safety film. A total of 1,080 panels were cut for the smaller fixtures, which include 158 originals (Type A, A1 & C) and 28 replications (Type D). 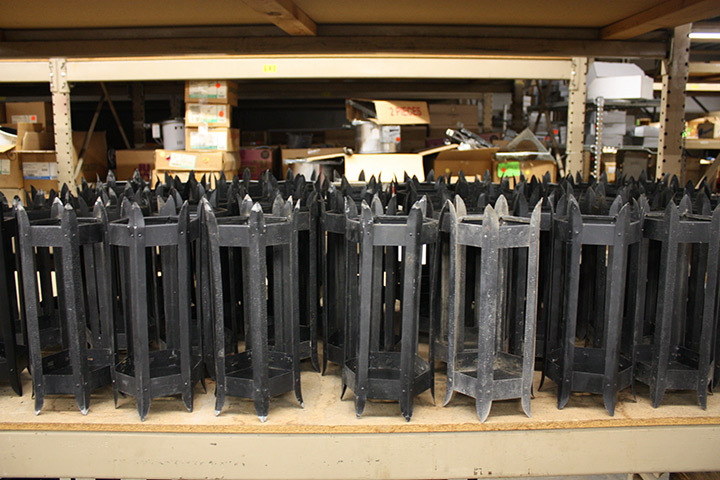 An additional 264 panels were cut for the 40 larger (Type B) fixtures. A total of 1,344 glass panels were fabricated. 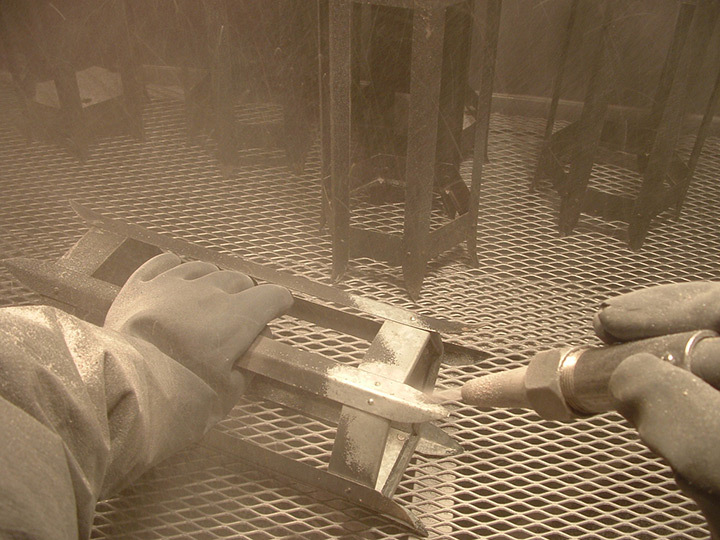 With the structural integrity of the fixtures restored, Grand Light plastic bead blasted all surfaces to remove the previous coating and then sandblasted them to achieve a smooth uniform surface. 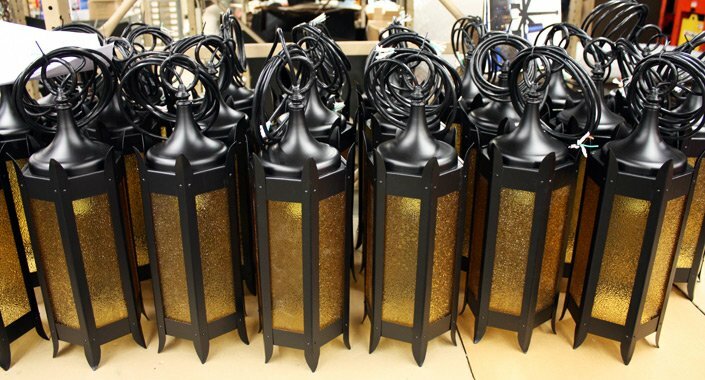 The frames were then cleaned and given a 15% gloss black powder coat before being wired with UL recognized components, HIPOT tested and reviewed for approval. 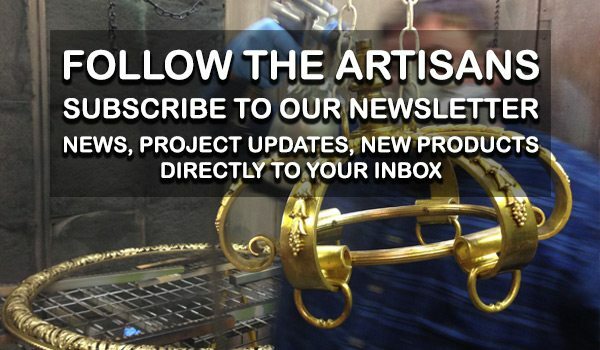 As a final step in restoration, each fixture underwent visual and mechanical inspections for historic accuracy and structural integrity. All fixtures were tested in accordance with UL standards, which include (4) separate tests: Strain Relief, Continuity, HIPOT and Function. 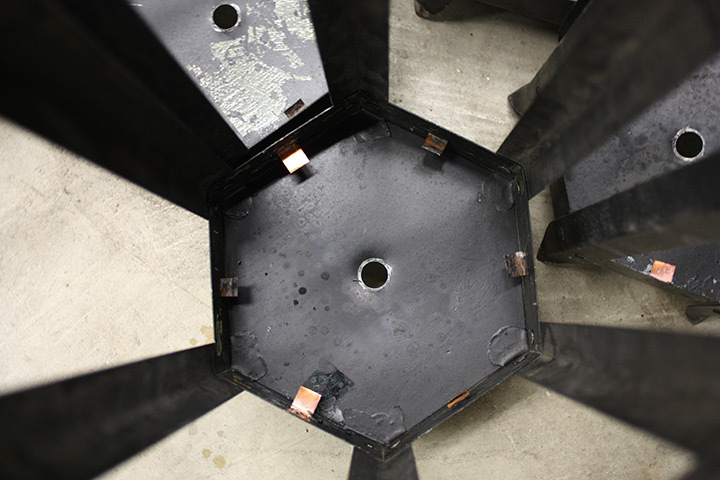 In preparation for the fixtures delivery back to Yellowstone, approximately 10 pallets with 4′ x 4′ x 5′ custom crates were constructed, and then lined with foam padding and extensive individual packaging. Safety tests were carried out to ensure the packing was more than adequate for the potential shock and vibrations that the fixtures my encounter while on the road.